I’ve stated in a couple posts before that Samus Aran is my video game wife and she would like all her adoring fans to refer to her by her full name Samus Aran-Jamaipanese. My darling’s new game drops at the end of this month and I thought I’d share an awesome trailer I found recently that details Samus’ story involving the Metroid so far. Will Metroid Other M take over from Super Metroid as my favourite in the series? 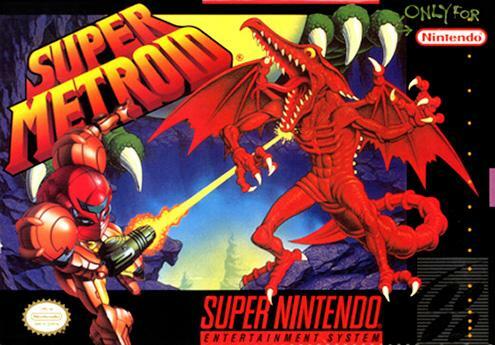 The narrated story is viewable in an embedded video below and covers The original Metroid on the NES, Metroid II: Return of Samus on the Gameboy and my favourite Super Metroid for the SNES. Interesting there is no mention of the Prime trilogy though O.o I wonder why. Metroid: Other M is coming! The wait is almost over! E3 2009 was the coming out party for Metroid: Other M, I have been following the progress of the game even over on the Japanese website for the game and it made the list of my top 10 most eye-catching games of e3 2010. I have not been playing my Wii very often as grow bored of Monster Hunter Tri but my sister has been playing Super Mario Galaxy 2 a lot. Looking forward to when Metroid: Other M drops on August 31st. Amazon is offering a $20 video game credit if you pre-order the game for $50 there, so don’t miss out and order Metroid: Other M today. This post made me remember of those awesome Samus Aran cosplay photos I saw a few years ago. Awesome Vid! Maybe it’s a Retcon? Or it takes place in between Super and Prime. I would get it if I had a Wii but I don’t so.. Le Sigh.. This looks like it’ll be so good tho. From what I’ve read(haven’t played them yet -_-) the Prime games occurred between metroid one/zero mission and II – return of Samus. They don’t actually involve the actual metroid lifeforms that much if at all. They were probably skipped to keep a certain continuity. btw how do you ship stuff to JA via Amazon? lend me super mario galaxy 2 when you done with it. I not buying that game again. I saw this at the video store last night and was tempted to pick it up, but I decided to wait for the new Star Wars game.